The Mayor of Garrucha is going out in style after he signed yesterday a license for the construction of 1,500 homes and a shopping centre in the sector 2 zone (the flat bit of land between Garrucha and the main bypass) which is to be built by a company called Hispavima. Hispavima will be building on 292,000 square metres of land, and plans to construct 1.100 homes to be sold on the open market, plus a further 400 council houses (VPO’s). Parking, both public and private, 53,000 square metres of “green space” and a large shopping centre will all be built. The townhall will get a 15% building tax, 5% more than the normal 10%. Much twittering from the politicians (elections soon!) about how this is a future for the town, etc, etc, but they’ve been on about building this since 2005 and nothing has happened so far. It’s why the electric line was built waaaay back in 2007. Approval was also given yesterday for the new Lidl in the town. As is usual for these big chains, they get free land in the town (an old football pitch on your right just before the pedestrian bridge as you drive in from the Turre entrance) in exchange for developing it. The German company will spend 1.1 million euros building their new supermarket, and will also be putting in a new roundabout on the junction, which will be good to get rid of the traffic jams that build up as parents try to get to the school down there. The townhall will give €230,000 towards the construction of the roundabout. 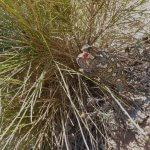 This entry was posted in Blog and tagged building, garrucha, hispavima, lidl, vpo by David. Bookmark the permalink. ← Previous Previous post: Last chance to register to vote in the May municipal elections!